Planning on flying for The Wizarding World of Harry Potter? Consider these stay-overs. Planning on flying for The Wizarding World of Harry Potter? Consider a stay-over that's part of Universal Studios Hollywood's Preferred Hotel program. HARRY'S IN THE HOUSE, or, rather, the theme park, and his robe-rocking, wand-wielding fans are making for Universal Studios Hollywood in happy droves. That's because The Wizarding World of Harry Potter, a land brimming with enchanting shops, eats, and rides, debuted at the beginning of April 2016. And, as might be expected, wizards are broomsticking in from all manner of distant lands, which means they'll need a place to stow their Quidditch balls and Invisibility Cloaks for the night, as well as a spot with a comfy bed. In that sorcery-casting spirit, Universal Studios Hollywood has teamed up with over 20 hotels located around Los Angeles to create the Preferred Hotel program. AMENITIES AND EARLY HOURS: So what does it mean to be a Preferred Hotel with the theme park? You're an inn that's offering special amenities of some sort, whether it is a complimentary shuttle over to Universal Studios Hollywood or gratis parking at the hotel or something else as solid. Another big bonus? "When guests confirm their hotel package, which consists of hotel accomodations and tickets to the theme park, they will receive the added benefit of one hour early entry to The Wizarding World of Harry Potter," reveals the site. Oh yeah; there's some magic at work there, for sure. THE HOTELS... participating in the program can be booked through a new section of the theme park's site. Peruse them all and ponder, as you go, what specific amenities you're hoping for and where exactly you'd like to be (super-close to Universal City, or somewhere further afield, perhaps on the way to the beach). 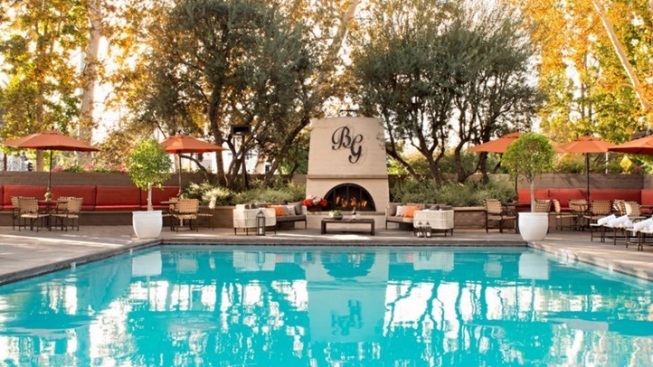 The Garland, Mondrian Los Angeles, Sportsmen Lodge Hotel, and a bevy of other stay-overs are part of the Preferred Hotel slate. Best don your favorite Hogwarts uniform, summon your owl, and read all the details, fine print, and extra must-knows.